You might be looking into car leasing and find that the deposit, more commonly known as initial rental payment, is too high for the car you want - meaning you might have to sacrifice some of your savings. If you’d rather not pay a high initial rental, and you’d prefer to lease a car with little or no deposit, then this is possible! At Complete Leasing, we can provide you with no deposit quotes for any of our lease deals that you may be interested in. Whether you want to find a business or personal car leasing deal with no deposit – we can help find you something that fits with your exact needs and budget. In this article, we will explain exactly what ‘no deposit’ means and how it works, but before we get into that, it’s a good idea to understand what the initial rental payment is. How Does the Initial Rental Payment Work? What Does ‘No Deposit’ or ‘No Initial Payment’ Mean in Car Leasing? Do I Have to Pay a Big Deposit When Leasing a Car? Is Car Leasing Better Than Buying? How Do I Get a No Deposit Lease Deal? The Initial Rental Payment: How Does it Work? Many of our customers ask ‘what is an initial payment on a car lease?' Both ‘initial payment’ and ‘deposit’ mean the same thing in terms of car leasing. In simple terms, it is an upfront payment that must be paid to the finance company at the start of your car lease. You do not get this back at the end of the contract – instead, it goes towards the whole cost of the lease. An initial payment is sometimes referred to as a ‘deposit’ - they both mean the same in terms of car leasing. Usually, a deposit is something you get back, for example, when you’re renting a house or an apartment. However, when it comes to car leasing, it isn’t the same. A deposit, or initial rental, is non-refundable – you do not get it back at the end of the contract. Instead, this down payment or upfront payment (no matter how much) goes towards the whole cost of the lease. For more in-depth information on the meaning of initial payment, take a look at our page What is an Initial Payment in a Leasing Deal? The amount of upfront payment depends on the lease deal. For example, it could be 3 x the monthly payment amount - if the deal is £200 per month, then the initial rental would be £600. In the lease deal, it would look like this: 3 + 23. This essentially means that you pay 3 x the monthly payments for the initial rental, and then continue to pay each month for the following 23 months – 24 months in total, so a two-year contract. In this case, you pay £900 upfront in the first month (£150 x 6 months’ initial rental payment) and then continue to pay £150 each month for the next 47 months. So by the end of the term, you will have paid £7950 (not including VAT, etc.) for the lease. So if you are required to pay an initial rental payment, what does ‘zero/no deposit car leasing’ actually mean? With car leasing, the term ‘no deposit’, or ‘no initial payment’ does not mean that you pay nothing in the first month. What it does mean is that you simply pay the cost of one monthly payment upfront (which covers the first month) and continue paying the same amount monthly as usual from there. So essentially, you are not paying any extra monthly instalments for the initial payment, therefore, you pay zero deposit – just a one-month payment. If you were to go for this deal, you would only pay £350 each month from start to end over the 3 years. Even though you pay for the first monthly rental, this is essentially a ‘no deposit’ or ‘no initial rental’ car leasing deal. So, do you need a deposit to lease a car? The answer is usually no, you just pay the first month’s payment, which is exactly the same amount for the rest of the contract. The simple answer is no, you don’t. If you’ve had a look at our lease deals online, you may be put off by a high initial rental payment. Don’t! Depending on your budget and how you want to work it, we may be able to arrange for you to pay a lower initial payment, or not pay one at all. If you choose not to pay a deposit, you effectively just pay one month’s payment in the first month for the initial rental, and nothing else. When you see a lease deal, it is usually advertised with a low monthly payment and a high initial rental payment, including a low mileage limit (5k or 10k per annum) – this is because it is the cheapest monthly deal. However, this doesn’t mean there is nothing else available and that it isn’t possible to pay a lower initial rental or change the mileage – if you get in touch with us, we can easily find out and tell you how the lease deal would differ, depending on how much you want to change the mileage and/or the initial rental amount. If you reduce the initial payment (deposit), you will see the monthly payments go up. In the end though, you will still have paid the same amount for the car – whether you pay a large initial payment or not. One of the obvious and main benefits of having a no deposit lease deal is that you don’t need to make a dent in your savings or try to scramble together a huge lump sum to pay for the car there and then. While paying just one month’s rental in the first month may seem like your cheapest option, it doesn’t always work out this way and there is one major drawback to a no deposit car lease deal. This is because the more you pay upfront, the lower your monthly payments work out – so paying a small initial payment upfront will result in your monthly instalments being higher. Either way, by the end of the contract, you will still have paid the same amount for the lease, so it all depends on how you would prefer to work it. Generally, most people see the benefits of paying a big initial rental upfront, so that the remaining months are a lot cheaper. So the answer to the frequently asked question ‘should I pay a high initial rental upfront?’ is that it’s completely up to you! If you want to pay less every month for your leased vehicle, then you’d be better off paying a large initial payment. On the contrary, if you would rather not have to pay a large down payment, but don’t mind your monthly payments being a bit more expensive, then go with a ‘no deposit car leasing’ deal. There are many arguments for and against both leasing and buying a car, so it’s normal to question whether or not leasing is actually worth it. 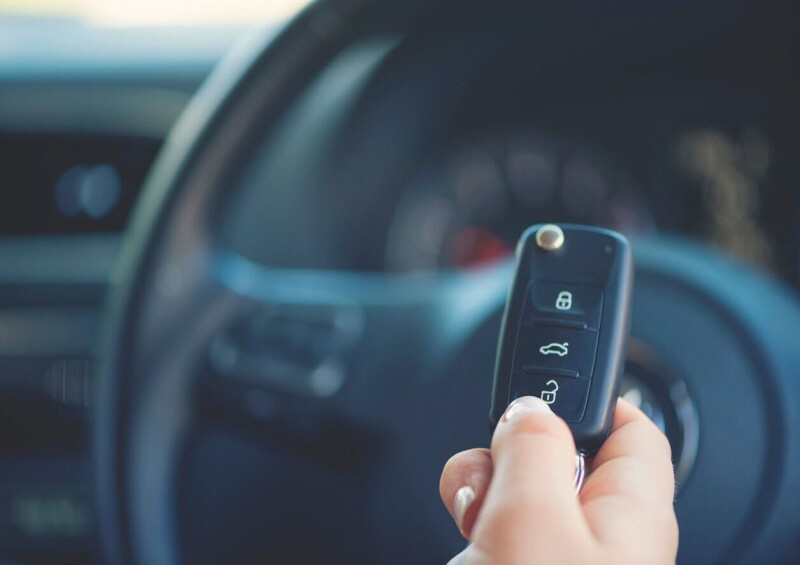 The answer to this question really depends on your needs, budget and preferences, but generally, leasing a car is the favoured option over buying one outright, and car leasing is continuing to grow in popularity. The main reason for this is that leasing makes having a brand new vehicle more affordable. Rather than paying the entire cost upfront, leasing or getting the car on finance allows you to spread it out over a few years (typically between 1 and 4). If you do want to own the car but can’t afford to buy it outright, you can finance it on a Hire Purchase (HP) or Personal Contract Purchase (PCP) agreement – meaning that you’ll own it at the end of the contract. Alternatively, if you don’t want to own the car and you’d simply like to lease it for a few years and hand it back once you’re finished, you can choose to lease it on a Personal Contract Hire (PCH) or Business Contract Hire (BCH) contract. Whatever you choose, leasing provides a more manageable way of paying for a brand new car. Another reason why people prefer leasing is that you can pay a small amount per month to have a maintenance package included. With this, if anything happens and you need the car to be repaired, you won’t have to pay anything as you’re covered! Leasing also benefits those who want to lease a car but have a low credit score – at Complete Leasing, we offer short-term car leasing deals for people with a bad credit rating. Adding to the many advantages of leasing, having the option to lease a car with no deposit or a low initial payment makes car leasing one of the most flexible ways to get a brand new car today. How Do I Get a No Deposit Lease Deal in the UK? You may come across a car leasing deal in our online catalogue that seems ideal, but perhaps the deposit is a little too high - no problem! If you can’t find what you’re looking for online, then give us a call today - we will do our best to personalise the contract for you so that it’s more suited to your budget. We can aim to base your lease deal on a low initial rental, or even no deposit, if that’s what you’d prefer. Don’t hesitate to get in touch – we’re sure to find something that suits your exact needs and you are under no obligation with us! If you’d like us to contact you at a preferred time, simply fill in our call-back form below (or to the right if you’re on a desktop) and we’ll get in touch with you.